Universal engine control for J1939 electronically governed Tier IV engines. Fully assembled NEMA 4X enclosure measures 9x6x5". 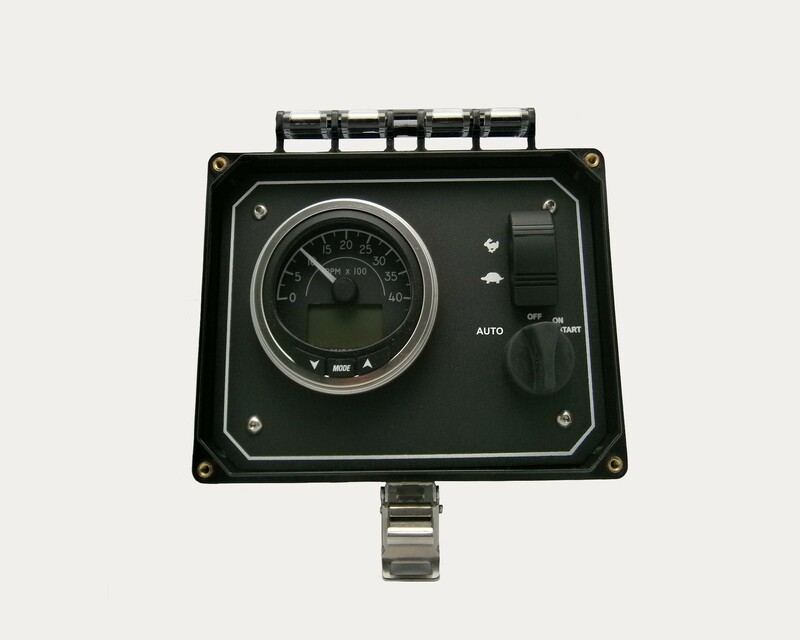 Assembly includes 4" 4K Tachometer w/integrated LCD display, sealed ignition switch, throttle switch and interconnect harness.